Have you heard what the ‘bark’ is all about? There’s a new pet supply store in downtown Appleton! DePawsitory offers your one-stop-shop for eco-friendly toys, handcrafted apparel and accessories, Wisconsin made food and treats (including Fromm), natural wellness products, and more. Their vision is to have a place that offers fun, unique, and locally made items you won’t find anywhere else, that are practical for every pet owner. Break away the big box stores and see what DePawsitory has to offer. If you’re not quite sure about what to get while you’re shopping, resident hound dog and personal shopper Frank is there to help! Looking for a new pet – they can help you with that too! DePawsitory is committed to giving back to the community by supporting local rescue organizations with their monthly Support a Shelter events. Stop in and meet your new best friend during their Adoption Days every second Saturday of the month, other past events have included ‘Paw’casso Night and a Dog Gone Scavenger Hunt. Upcoming events include Howl’oween: Family + Pet Fest on October 25th. 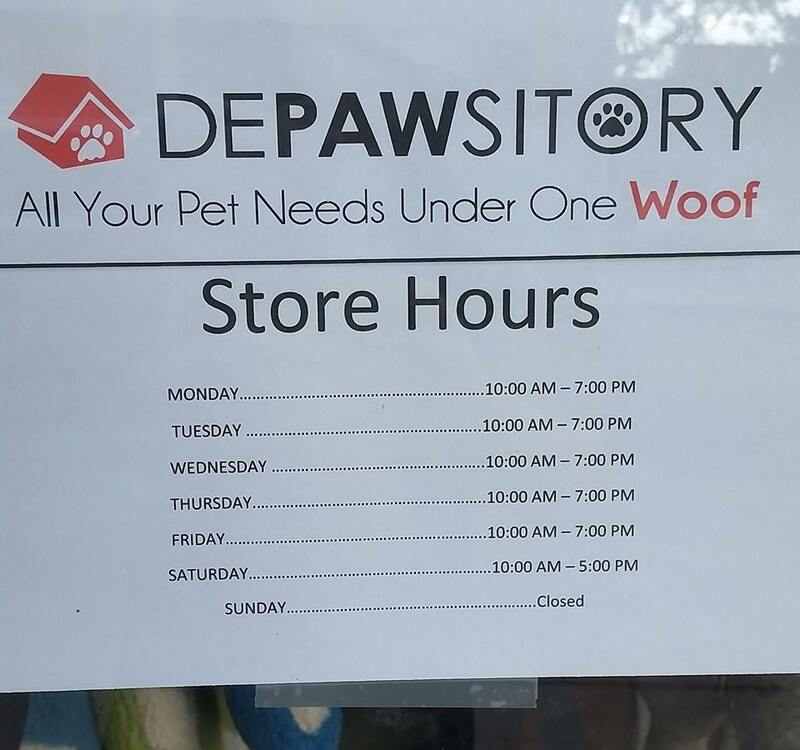 DePawsitory is located at 103 E College Ave with pet-parent friendly hours: Monday-Friday from 10:00a-7:00p and Saturday 10:00a-5:00p. You’ll find plenty of parking in the YMCA ramp or Soldier Square directly behind the building – or take advantage of free parking after 6:00p! So check out DePawsitory because it truly has All Your Pet Needs Under One Woof!